The Ivy Group - VOICES: "The Art of Bilingualism"
Many people would agree that bilingualism is an asset. Having that ability to not only seamlessly communicate, but assimilate in two different languages and cultures is a wonderful gift. Some may argue that it is almost an essential tool to stay competitive and thrive in this 21st century world we live in. With over 15 years under our belt in bilingual education, Ivy Education Group believes we have garnered a breadth of experience and expertise in this field. 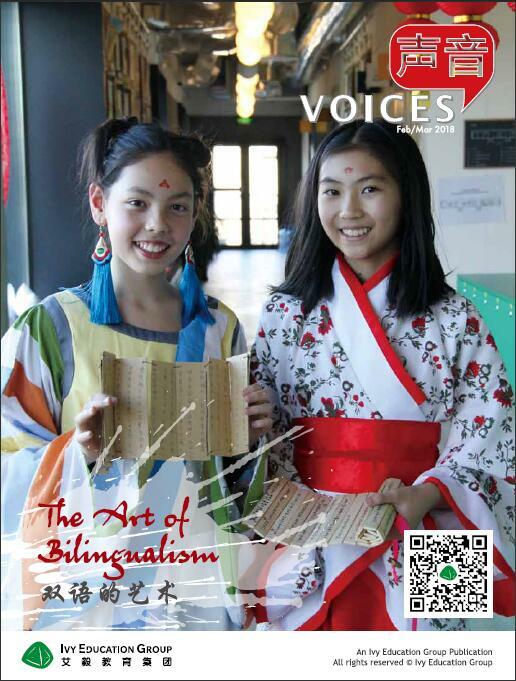 In our third installment of VOICES for this school year, we bring you “The Art of Bilingualism”. We have dug deep into this topic at all levels (Kindergarten, Elementary and Middle School), and have gone even further by also exploring what it means to be a “Third Culture Kid” (TCK), and much more. We hope you will enjoy this edition. And be sure to save your date for UNITY DAY on SATURDAY MAY 19TH! Please click here to check out the magazine for details.